Basil Leaf, a luxurious ethnic and Indo western brand for girls and women, has launched its first B2B store in SwastikHouse, Dadar (W) Mumbai. The store is designed such to give female shoppers a luxurious experience.The store is spread across 650 sq ft housing ethnic wear targeting today’s articulate women and young girls. What lends to its splendor and grandeur is the mud coloured walls, dazzling hand crafted lights, a mix of magnificence and tradition that makes for a perfect ambience.The collection also reflects rich elegance displayed in bright hues, craftsmanship, design and fabric. 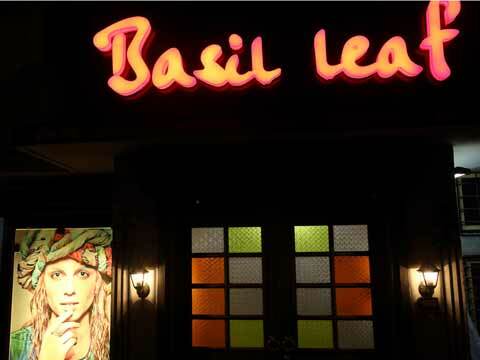 Commenting on the launch, Samir Dedhia, Director of Basil Leaf said, “We are thrilled with the launch of our first B2B store in Mumbai. This is an extension of our constant endeavour to keep working on our innovative designs and cater to the needs and preferences of the adorable ‘GIRL’ of today. The store personifies royalty and liveliness and the collection reflects the aspirations and ambitions of today’s women. We are confident of taking our growth story ahead in the time to come.”The store lays emphasis on perfection and features exuberant and intricate designs, well-crafted ethnic wear for girls and the traditional kurtis and tunics for women as a testimony to its designing skills.